Description: Bangor House, 1960. First Edition, Softcover. Fair Condition. Fairly Good 1st ed 1960 Bangor House paperback/pamphlet, with frontispiece and maps, a terrific resource. 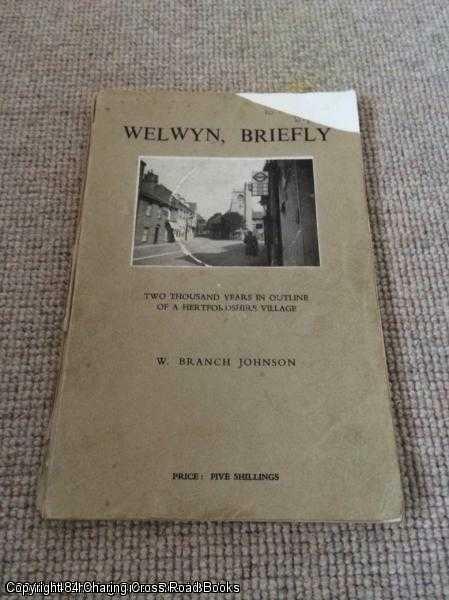 'Welwyn By and Large' by same author also available. Top corner of cover and fly-leaf beneath snipped off, backing of spine has lifted and lower portion has come away, due to paper used, cup-ring to front cover inset photo, a little corner creasing, internally good tidy and unmarked, all pages secure. More by this author available Sent Airmail at no extra cost; Quantity Available: 1. Shipped Weight: Under 1 kilogram. Pictures of this item not already displayed here available upon request.